A compilation of the finest speechs by leading Euro-Sceptic and erstwhile “Maastricht Rebel” Christopher Gill. Most people accept the importance of living in a land where the ‘rule of law’ is upheld but beyond that, who cares ? Who cares who makes the law ? Who cares how the law is made; who administers it and, not least, upon what principles it is founded ? These are fundamental questions that should concern us all because essentially they define whether we are living in a dictatorship or in a democracy. The English common law with its range of defences and protections against State inspired coercion has ensured that, for centuries, we have been a truly ‘free’ people – until recently we could confidently say that it is the law that makes us free and it is the law that keeps us free. 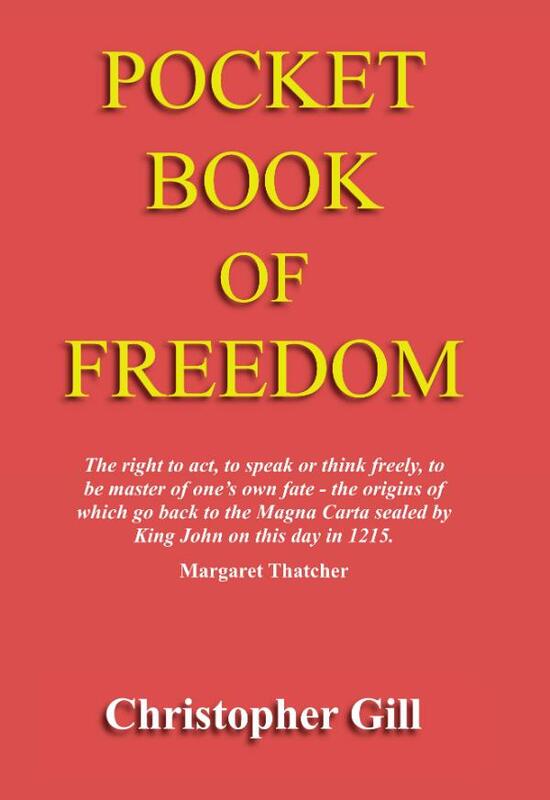 This book, by addressing the questions posed above, seek to demonstrate the utter stupidity and irresponsibility of abandoning fundamental aspects of our common law, both in terms of its effect upon the freedom of the individual and not least, in terms of its effect upon the democracy we pride ourselves as living in. Christopher Gill RD is a politician in the United Kingdom, and a former member of the National Executive Committee of the United Kingdom Independence Party (UKIP). He is also the current President of The Freedom Association (TFA). A former Conservative Party Member of Parliament, he was one of the Maastricht Rebels of the mid-1990s.